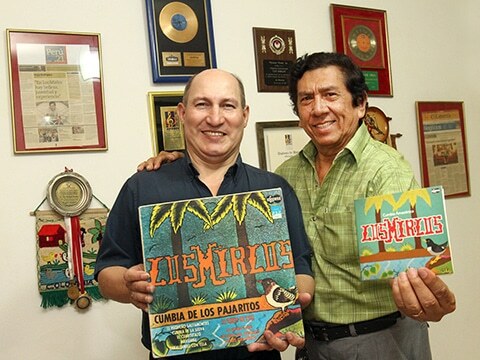 Fast-forward some 40 years, and Los Mirlos have travelled and performed in almost every Latin American country, and are still considered essential for the culture of Amazonian Cumbia, not in the last place because of popular compilations such as "Roots of Chicha", "Back To Peru", and "Cumbia Beat Vol. 1". Songs like 'La Danza de Los Mirlos', 'Sonido Amazónico', 'Lamento en la Selva', 'Muchachita del Oriente', and 'Chinito en Onda' are kept in the memory of many people worldwide, who all danced to them at one point of their life.